Place in the house for “Carried Like a King:” – The Smoking Room. This is one of my favorite photos of the Augusta National Golf Club clubhouse. It shows how perfect the grounds are kept, yet still conveys the memberships’ appreciation for keeping the natural landscape prominent (see: “the Big Oak Tree” pictured in the far left). 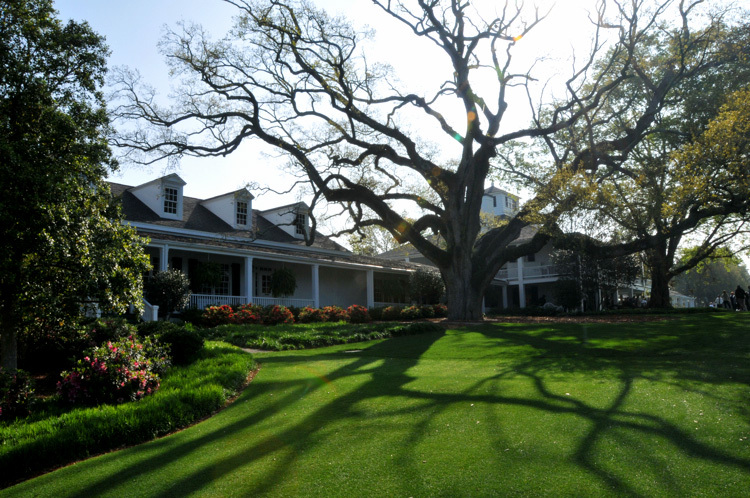 Both trees provide context to the understatement and humility of ANGC’s clubhouse compared to nature — exactly how Bobby Jones would have wanted and classic Augusta National Golf Club. I don’t think Augusta would have it any other way. 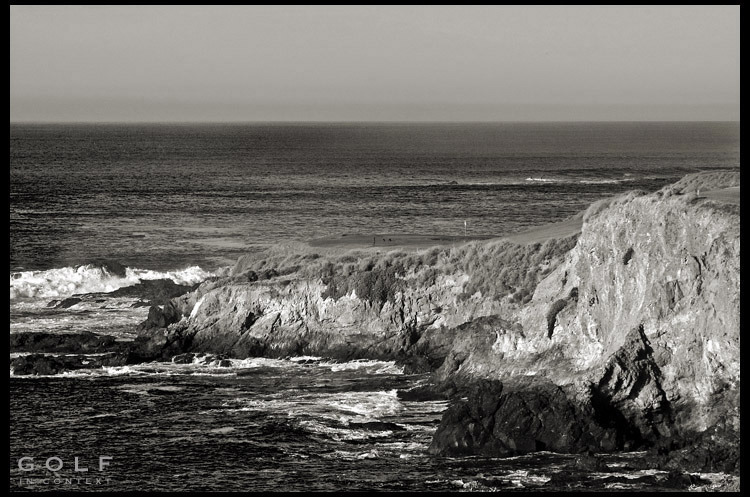 Photo taken by Rob Matre. Place in the house for Augusta National Golf Club clubhouse – The Reading Room. 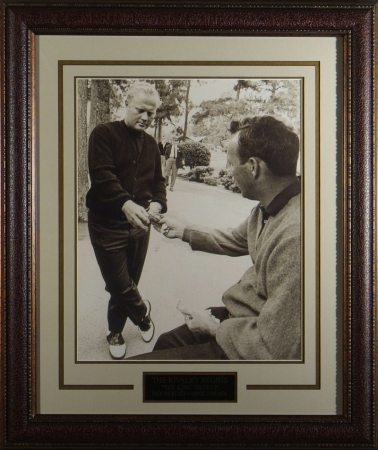 From the looks of the photo it’s tough to tell who’s paying who, but in reality, Jack is paying Arnie a 50 spot. Regardless The brilliance behind this photograph is it’s timing. In an Instagrammed world, I think we can all appreciate how special this moment is for any golfer that’s won or lost a bet. Place to put Jack and Arnie “Paying Up” – The Game Room. Moe, Larry, and Curely, sure knew how to enjoy themselves on the golf course. 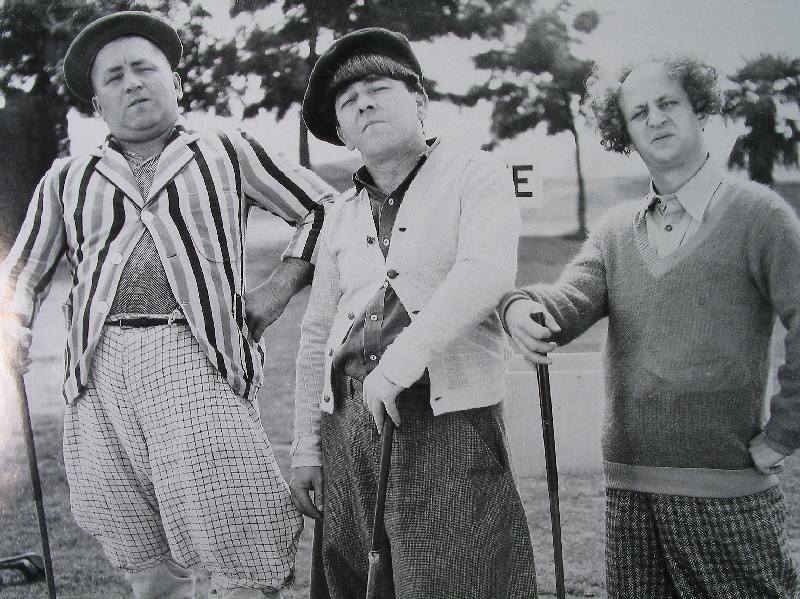 The trio pushed slapstick comedy to an entirely new level and with golf in its Golden Age during their height of popularity, it’s no wonder they implemented the game into their skits. The image below is fantastic. They have confidence, bravado, and conviction…for absolutely no reason. And that’s what made them great. Dressed in ridiculous clothes, you’d never know it from the looks of their face. Place to put The Three Stooges – The Game Room bathroom. The story of all stories, Ben Hogan’s comeback win of 1950 U.S. Open after a car wreck that nearly took his life the year prior. A man of shear determination, this photo will inspire and focus you every time you give it a glance. 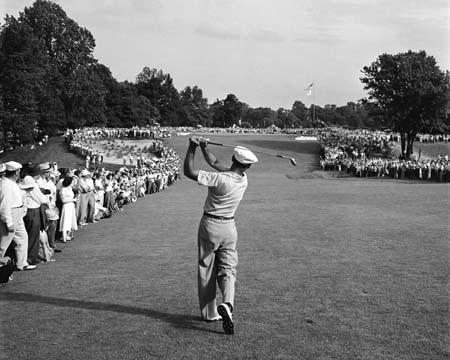 The photo of Ben Hogan’s 1-iron at Merion Golf Club deserves to be in the golf gallery of every true golfer. 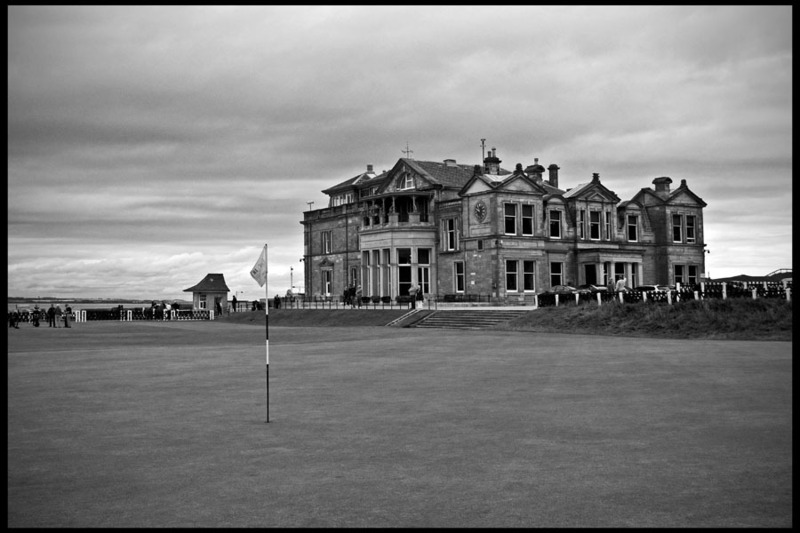 Another Robert Matre classic, this one is of the St. Andrews clubhouse. It’s simple, clear, and representative of the St. Andrews’ atmospherics. The layered clouds juxtaposed against the mighty and historic clubhouse make me want to travel to Scotland, grab the nearest set of clubs, hoof it around one of the greats, and end the day with 5-7 pints at the city’s best pub. This entry was posted in Traditions of Golf and tagged equipment, Golf Photography, Traditions by . Bookmark the permalink.